The New Zealand made Hansa range of chipper shredders represent the best in Kiwi design and engineering. 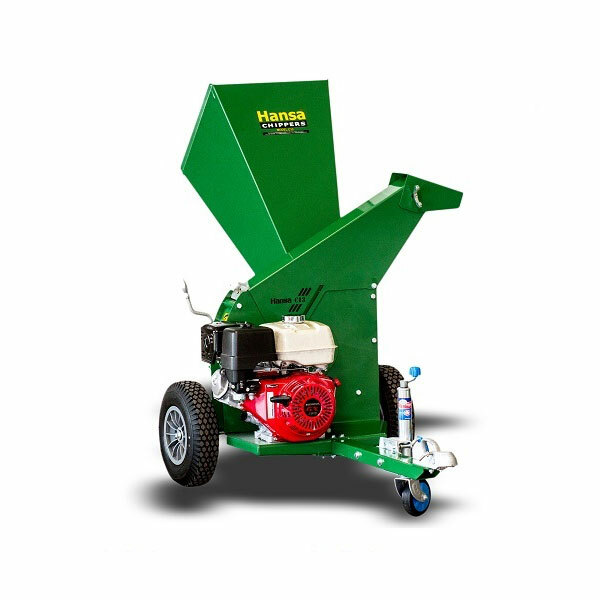 The Hansa C13 brush chipper is the best value for money chipper shredder of its size, without compromising on strength and performance. This C13 Yard Towable unit is perfect for towing around the property. The C13 is also available as a stand alone unit, road towable unit or PTO driven unit. With the huge open feed hopper chute there is no preparation required for your material, simply throw it in and forget about it. Self feeding action up to 90mm branches. Ideal for farm owners, life style block owners, horticultural users, orchards, nurseries, commercial applications, municipalities, parks and reserves.